Gemstones are usually treasured for their crystalline varieties that contain little or no inclusions. Some varieties, however, are favored because of their unique inclusions. One such variety is rutilated quartz. Striking in appearance, the thin, elongated red to golden rutile needles may form parallel to one another or have random distribution throughout the quartz. On rare occasions, needles may radiate in six different directions, creating a star-like pattern. Specimens exhibiting this pattern are the most highly prized of all. Colorless quartz with visible needle-like inclusions is sometimes called "sagenitic." 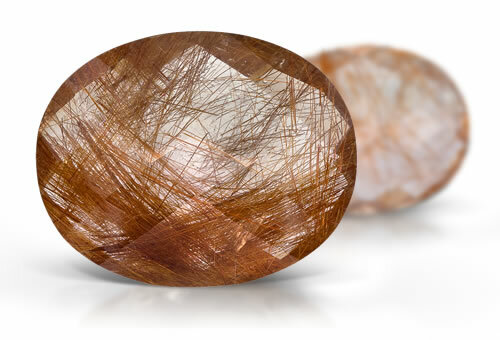 Rutilated quartz will have rutile inclusions and might contain liquid, two-phase and three-phase inclusions, negative crystals, minerals, needles and iron particles.